Cotto and the Dali String quartet rehearsing Puente Trans-Arabico at the Cottonwood Festival. 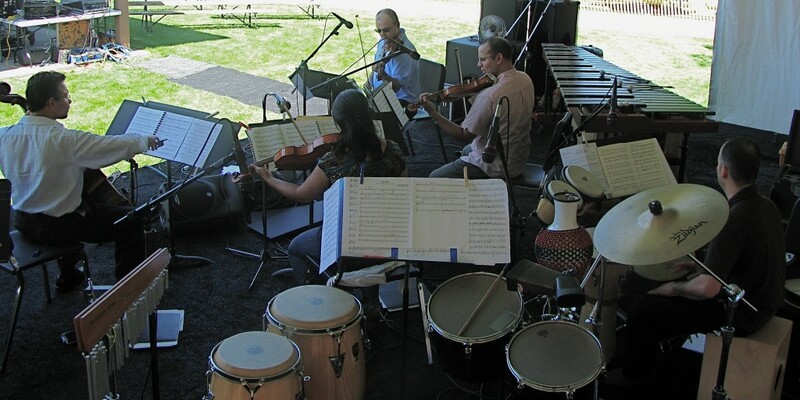 As Guest Composer of the 2010 Meadowlark Music Festival, Ricardo Lorenz curated a program of Latin American music that brought together Philadelphia-based Dali String Quartet and Puerto Rican percussionist/marimba virtuoso Orlando Cotto. A highlight of the program was the Nebraska premiere of Lorenz’s Puente Trans-Arabico for percussion and string quartet. Among other works for percussion and string quartet, the program included Lorenz’s arrangements of Cuban dance music as well as a brand new string quartet and marimba adaptation of Orlando Cotto’s Marimba for an Angel. 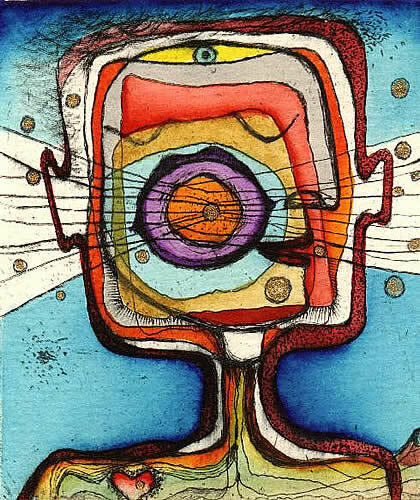 The festival was hosted between June 12 and 19 at the University of Nebraska Lincoln in conjunction with the Sheldon Museum of Art’s exhibit “Flowers, Lies and Revolution: Contemporary Cuban Art.” The program was repeated at the Cottonwood Festival in Hastings, Nebraska. El Muro. University of Michigan Wind Symphony. Michael Haithcock, cond. Hill Auditorium, Ann Arbor, Michigan. Merengue en el Espejo (PREMIERE). Molly Barth and Luis Julio Toro, flutes. Beall Concert Hall, Eugene, Oregon. El Muro. Duquesne University Wind Symphony. Robert Cameron, cond. Pittsburgh, Pennsylvania. Salsa Inglesa. Elena Riu, piano; Wilmer Sifontes, percussion. The Clore Ballroom. Royal Festival Hall. London, U.K.
Canciones de Jara: Concerto for Viola and Orchestra (PREMIERE). Roberto Díaz, viola; Michigan State University Symphony Orchestra; Leon Gregorian, cond. Wharton Center, East Lansing,Michigan. Merengue en el Espejo. Molly Barth and Luis Julio Toro, flutes. Festival Cervantino, Guanajuato, Mexico. Rumba Sinfónica. Tiempo Libre; Jerusalem Symphony Orchestra; Yeruham Scharovsky, cond. Henry Crown Concert Hall, Jerusalem, Israel. Al Otro Lado del Rio. One of two required works for the final round of the VII Miquel Llobet International Guitar Competition. Conservatori Municipal de Musica. Barcelona, Spain. El Muro. Ithaca College Wind Ensemble. Steve Peterson, cond. Ithaca, New York. Bachangó. Jenny Lin,piano. Symphony Space Thalia, NYC, New York. Salsa Inglesa. Erika Kinser, piano. White Hall, University of Missouri-Kansas City. Perfiles Sospechosos. M. Olin, flute; R. Hamel, bass clarinet; C. Hall, cello; T. Forquer, percussion; R. Jiménez, cd. Hart Recital Hall, Michigan State University, East Lansing, Michigan. Salsa Inglesa. Erika Kinser, piano. Caruth Auditorium, Southern Methodist University, Dallas, Texas. Merengue en el Espejo. Josue Casillas & Jonatan Figueroa, flutes. Second Puerto Rican Congress of Musical Creation. Conservatorio de Música, San Juan, Puerto Rico. El Muro. Eastman Wind Ensemble. Mark Scatterday, cond. Eastman School of Music. Rochester, New York. 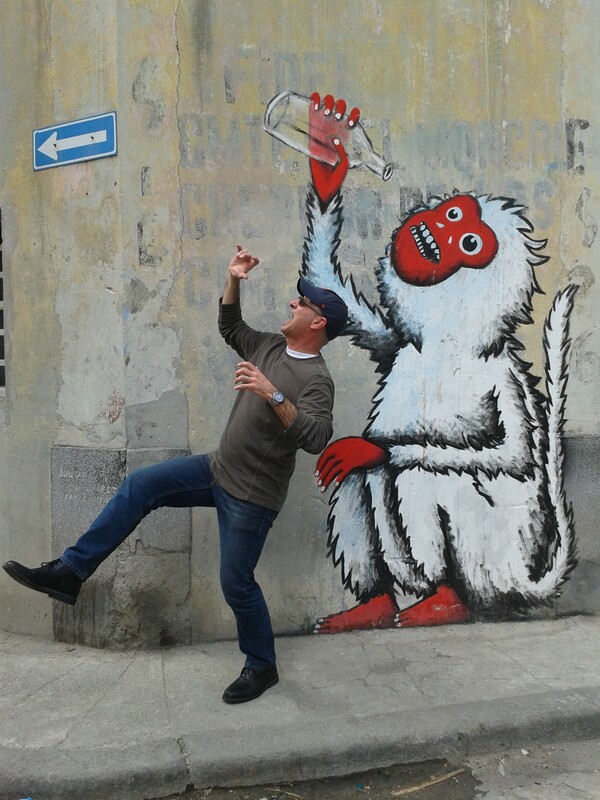 El Muro. University of Illinois Wind Symphony. Robert Rumbelow, cond. Krannert Center for the Performing Arts, Urbana-Champaign, Illinois. Merengue en el Espejo. Marissa Olin & Lauren Gross, flutes. Premieres of New Music. Hart Recital Hall, Michigan State University, East Lansing, Michigan. Bachangó. Marta Aznavoorian, piano. With additional choreography by Suzanne Kritzberg, dancer. 12th Annual Music in the Loft Benefit Concert, Music Institute of Chicago, Evanston, Illinois. Child Poet Perfectly Contented in Foreign Lands. Seung-Youn Kim, piano. Music Auditorium. Michigan State University, East Lansing, Michigan. Jaromiluna. Ignace Jang, violin; Sirin Pancaroglu, harp. Sureyya Opera House, Istambul, Turkey. 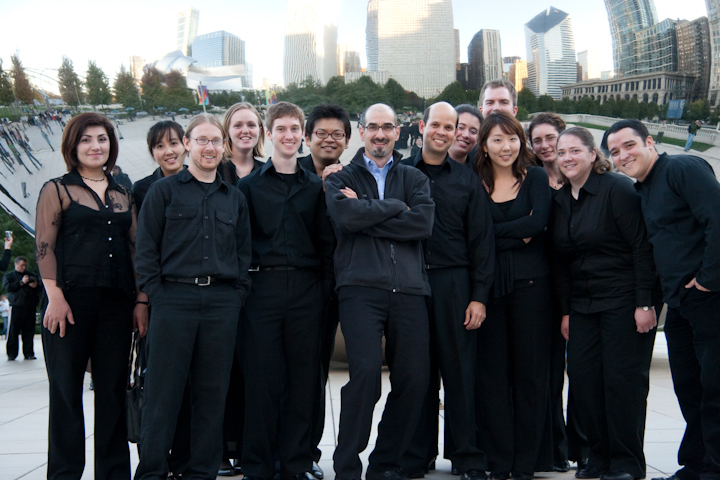 In Chicago with flutist Marissa Olin (fourth from left), Director Raphael Jiménez (center with Lorenz), and members of Michigan State's Musique 21 before the 2007 Midwest premiere of Perfiles Sospechosos. Photo by Mark Sullivan. 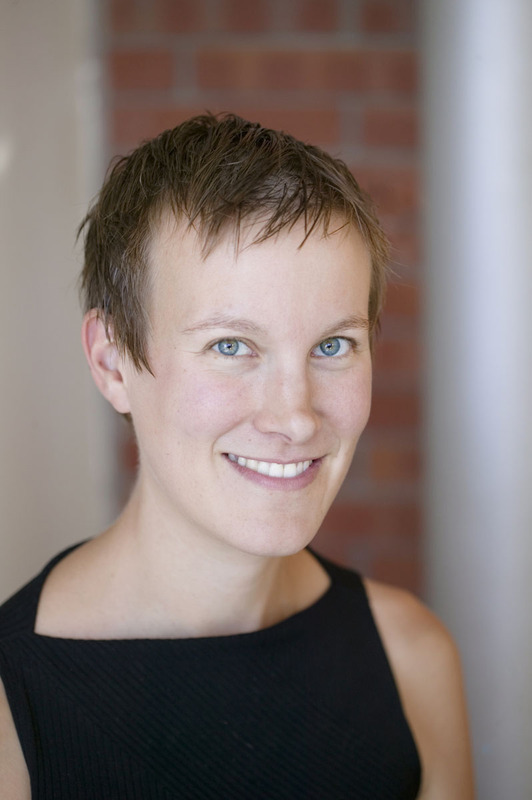 Minnesota native and flutist Marissa Olin will premiere a new and improved version of Ricardo Lorenz’s Perfiles Sospechosos on Sunday, April 18, at Michigan State’s Hart Recital Hall. Originally a trio for flute, cello, and percussion commissioned by the National Flute Association, Olin will premiere a quartet version of Perfiles Sospechosos that incorporates bass clarinet. “As soon as it was premiered in 2007 at the NFA New Mexico convention,” explains Lorenz, “I felt the work could greatly benefit from the addition of a low wind instrument to back up the cello and complement the flute’s high register, particularly in the last movement which calls for piccolo. Only after I made the adaptation I realized that the new version sounds –and looks– like a piece for flute and rhythm combo.” Marissa Olin attended the NFA Convention’s premiere of Perfiles Sospechosos (Spanish for “suspicious profiles”). She has performed the original trio version on several occasions and Lorenz created the new version especially for her. For this premiere, Olin will be joined by cellist Callum Hall, bass clarinetist Remi Hamel, and percussionist Ty Forquer, who also appears in the photo above (left of Olin). 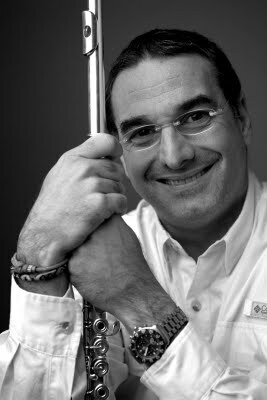 Ricardo Lorenz receives commission from the University of Oregon to compose work for two world-renown flutists: Grammy-Award winning, University of Oregon faculty Molly Barth and revered Venezuelan flutist Luis Julio Toro. In addition to having long standing solo careers, Molly Barth is a founding member of the nationally acclaimed sextet Eight Blackbird and Luis Julio Toro has traveled all around the world with his virtuoso contemporary folk ensemble Gurrufio. Lorenz and Toro have collaborated many times in the past. They both met Molly Barth for the first time in Albuquerque, New Mexico, at the 2007 National Flute Association’s convention where a new trio by the composer (a NFA commission) was premiered. Lorenz’s new commissioned work is scheduled to receive North and South American premieres by the recently formed duo during the 2010-2011 season. 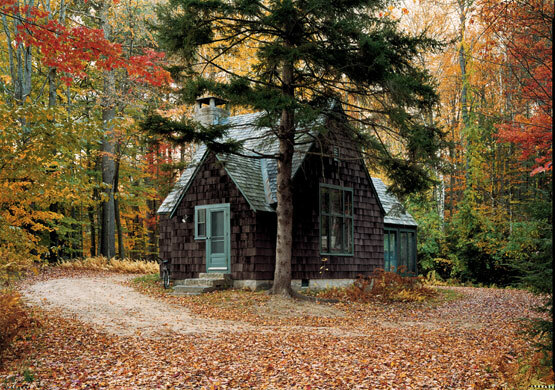 Ricardo Lorenz will spend five weeks in residency at the MacDowell Colony in Peterborough, New Hampshire. As a MacDowell Colony Fellow, Lorenz will work during April and May 2010 on a new concerto for viola and orchestra. The concerto is loosely based on a group of songs by the late singer songwriter Victor Jara, one of the first casualties of Chile’s 1973 military coup. Lorenz is composing this concerto for Roberto Díaz, former principal violist of the Philadelphia Orchestra and current President of the Curtis Institute of Music. Founded by composer Edward MacDowell and his wife Marian in 1907, MacDowell Colony is the oldest and most prestigious artist residency in the U.S. Writers, poets, playwrights, visual artists, and composers are supported during four to eight weeks while in residence at the MacDowell Colony. Among the many works created at the colony are Thornton Wilder’s Our Town, Aaron Copland’s ballet Billy the Kid, and Leonard Bernstein’s multi-genre cantata Mass. Over 61 works done at the Colony have been awarded Pulitzer Prizes over the past one hundred years. En Tren Va Changó (Destination Macondo). Moravian Philharmonic Orchestra; Raphael Jiménez, conductor. 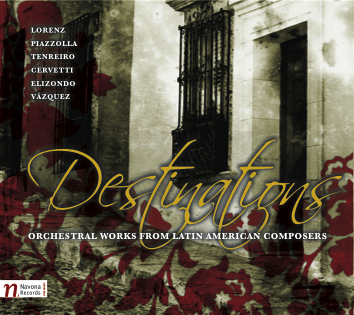 Included in a CD titled “Destinations: Orchestral Works from Latin American Composers.” Navona Records, US, 2009. 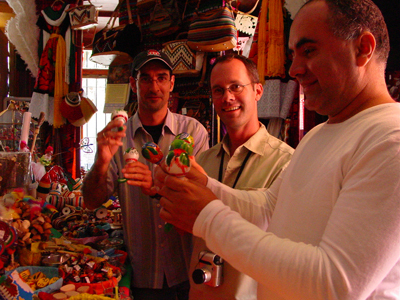 After the Mexican premiere of Pataruco in 2004, Lorenz, conductor Kyle Wiley Pickett, and percussionist Ricardo Gallardo (left to right) relax at a souvenir shop in San Miguel de Allende. Several performances of Ricardo Lorenz’s concerto for maracas and orchestra are scheduled for the 2009-2010 season in cities across the US and Mexico. Premiered ten years ago and titled Pataruco, this first-ever concerto for maracas will be performed in Oregon and Nevada by percussionist Terry Longshore (http://www.terrylongshore.com) with the Rogue Valley Symphony and the Carson City Symphony respectively. Almost simultaneously, Mexican percussionist Ricardo Gallardo will performed the concerto with the Michoacan Symphony in Mexico City and Morelia. Pataruco was premiered in March 1999 by the Chicago Sinfonietta and percussionist Ed Harrison, to whom the work was dedicated. Since then, the work has been heard in many cities across the globe: from Juneau, Alaska, to Prague, to Bello Horinzonte, Brazil. A recording of Pataruco with the Czech National Symphony and Ed Harrison was released in 2001 by Albany Records. Watch Atlanta Symphony Orchestra member Alcides Rodriguez performing Pataruco with the Orquestra Filarmonica de Minas Gerais, Brazil. Read review in Mexico’s La Jornada of the Orquesta Sinfónica de Michoacan’s performance of Pataruco. By invitation of the University of Florida Bands, Ricardo Lorenz visited the Gainesville campus on September 29-October 2, 2009 to attend the official premiere of El Muro, a work for wind symphony commissioned by the American Bandmasters Association and the University of Florida Bands. The work was premiered on October 1st by the UF Wind Symphony conducted by David Waybright. While at University of Florida, Lorenz met with graduate students in the Band and Music Composition programs, as well as with Composition Faculty Paul Richards and Paul Koonce. Lorenz also had a chance to tour the brand new Steinbrenner Band Building, a $10-million state-of-the-art facility suitable for rehearsals, performances, and recordings. What stands between composing music and the world feels like a void that I simultaneously crave and loathe. On the one hand, I seek those moments when I am alone and self-absorbed over a score in progress. On the other hand, I reject the thought of being a loafer, oblivious of my surroundings, because in the end it is all about making a connection; it is about being in tune with the world. 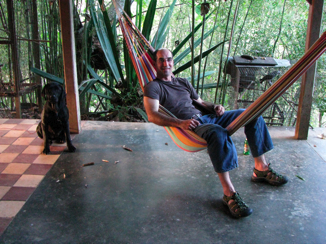 The Creativity of Loafing: Ricardo Lorenz in Venezuela, May 2009. What I mean is that composing music, like any other art, requires knowing when to immerse oneself into a vacuum and when to surface out of it. It requires negotiating between the oblivious attitude of childhood and the tenacity of someone running for government office. While it requires a marathon runner’s resolve and discipline to bring projects to completion, composing also relies heavily upon the creativity inherent in the act of loafing. Being idle can cause surprisingly original and spontaneous music to emerge. Inside of the void I care only about musical flow, elegance of gesture, rhythmic intricacy, and unexpected harmonic shifts. Outside of the void I strive to evoke human drama through music, often fantasizing that I can be an agent of change or that, in the least, my compositions are imaginary solutions to real problems, as Claude Levi Strauss described culture’s role in society. Ricardo Lorenz’s Rumba Sinfónica will receive its twentieth performance at the historic Severance Hall, home of the Cleveland Orchestra. On October 24, 2009 Tiempo Libre and The Cleveland Institute of Music Symphony Orchestra under the baton of Carl Topilow will perform Rumba Sinfónica at Cleveland’s Severance Hall. 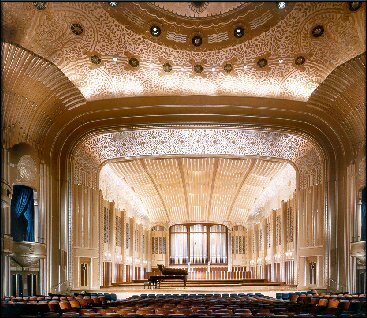 One of the world’s most prestigious concert halls, Severance Hall underwent a major, $36-million restoration and expansion in 2000. This landmark building was one of the most modern, up-to-date concert facilities in America when it opened in 1931 as The Cleveland Orchestra’s permanent home. Ricardo Lorenz’s Rumba Sinfónica has toured many cities in North America since its premiere by the Minnesota Orchestra in fall 2007. The work has been featured on NPR’s “All Things Considered” as well as in Symphony Magazine and on the Big Ten Network. Other orchestras performing Rumba Sinfónica during the 2009-2010 season include Oklahoma City Philharmonic, Hartford, North Carolina, and San Diego symphonies as well as the Youth Orchestra of Palm Beach County. Link to ‘Rumba Sinfónica’ comes to Severance for a CIM Benefit.